Growing up, my only association with Irritable Bowel Syndrome (IBS) was the scene in Along Came Polly where Reuben (Ben Stiller) experiences intense IBS symptoms as a result of eating Moroccan cuisine to impress Polly. If you’ve seen the film, you know the scene (hard to forget) but if you haven’t, you probably have you own perceptions and perhaps misconceptions of what IBS really is. As a nutrition student, I am slowly expanding my knowledge of IBS and related disorders. I thought I’d take this opportunity to learn more about IBS and educate others. So in honor of IBS Awareness Month, I am sharing some information on what IBS is and how individuals living with IBS can better cope. Whether you have IBS, know someone with IBS or are just curious if Along Came Polly is an accurate portrayal of someone living with IBS (perhaps it is for some), read on! Irritable Bowel Syndrome is a disorder that affects the large intestine. Symptoms of IBS generally include cramping, abdominal pain, bloating, and gas, along with diarrhea, constipation or both. It’s a chronic condition but intense signs and symptoms are only experienced by a handful of individuals living with IBS. Doctors still aren’t sure what causes IBS but there are certain risk factors that make an individual more likely to have IBS and other factors that seem to exacerbate symptoms. IBS affects roughly 7-13% of Americans and is seen more commonly in females (2 out of 3 IBS diagnoses are female) and those under the age of 50. In addition, individuals with a family history of IBS and individuals who have mental health conditions are more likely to have IBS. Additionally, those with moderate to severe IBS symptoms are more likely to report mood disorders such as anxiety or depression, which can worsen symptoms. As seen in Along Came Polly, IBS can indeed be exacerbated by certain foods. According to Mayo Clinic, wheat, dairy products, citrus fruits, beans, cabbage, milk, and carbonated beverages are all items that may worsen IBS symptoms for individuals. Beyond certain food and beverages, individuals also see their symptoms worsen with stress. For women, symptoms often worsen during or around menstrual periods, meaning hormonal changes are commonly associated with worse IBS symptoms. What do individuals living with IBS need to do? First and foremost, if an individual thinks they may have IBS, they must go to their doctor. The doctor, or more specifically, a gastroenterologist, will be able to help identify IBS (and rule out other possible issues) and recommend the right course of treatment. Once a doctor diagnoses a patient with IBS, they may suggest over the counter or prescription medications to help the patient cope with symptoms of IBS. Additionally, doctors may refer their patients to a registered dietitian who can help patients create a new dietary plan. Every person diagnosed with IBS will experience different levels of signs and symptoms. Over-the-counter medications are commonly prescribed for IBS. In other situations, a doctor may deem it necessary for a patient to take prescription medications. 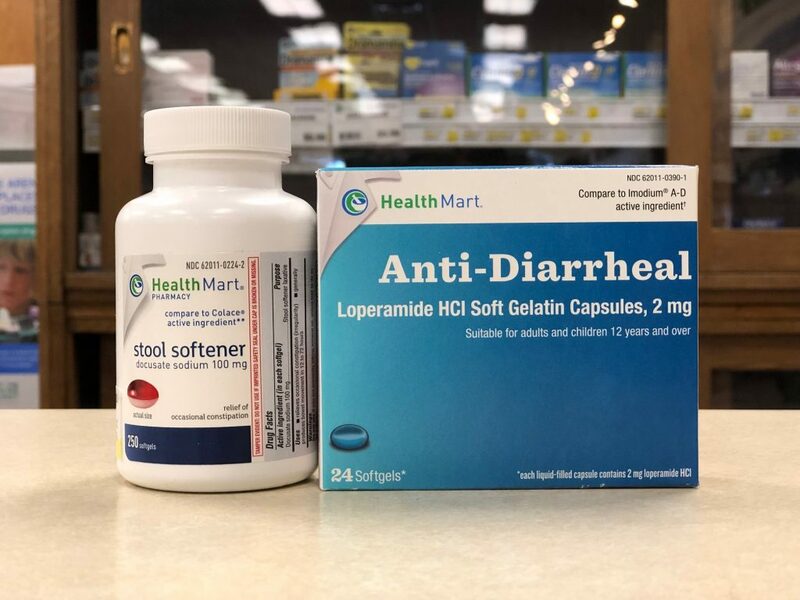 Some common medications that a doctor may prescribe include fiber supplements, laxatives, antidiarrheal medications, anticholinergic medications (to relieve painful bowel spasms), antidepressants and pain medications. In addition to medications, some doctors may also recommend making lifestyle changes to help reduce signs or symptoms. As I mentioned before, stress can exacerbate the symptoms of IBS. Although most people should work on taking measures to reduce stress, those living with IBS may see a direct benefit. Every individual is different but taking the time to exercise, meditate, journal, and see a counselor or therapist are all great ways to work towards stress reduction. Lastly, taking control of your diet is a great way to try and manage some of your IBS symptoms. Initially, a doctor or dietitian may recommend keeping a food journal, so you can track any foods that may correlate with IBS symptoms. Individuals with IBS should try to eat high-fiber foods, drink plenty of fluids and steer clear of any foods they’ve seen that correlate with their symptoms. It wouldn’t be an article on IBS if I didn’t address FODMAP’s. A low FODMAP diet is a common way for those with IBS to manage their symptoms. However, it is advised to only follow a FODMAP diet under the direction of a medical health professional. Read on for more on FODMAP. What the heck is FODMAP? FODMAP is an acronym for a good reason—it stands for Fermentable Oligo-, Di-, Mono-saccharides And Polyols. We won’t get too into the weeds with these but essentially they are forms of carbohydrates that do not absorb very well in our small intestine. Generally, most nutrients from food are absorbed in the small intestine. It is critical to note that a Low FODMAP diet is not a lifelong diet, it is generally followed for a span of 6-8 weeks and then evaluated by a registered dietitian. They can then direct the patient to start incorporating FODMAP foods into their diet in hopes of identifying any that trigger the individual’s IBS symptoms. Generally, once this course of action is complete, many individuals can return to their normal diet with just a few FODMAP foods that need to be avoided. Although living with IBS definitely takes some life adjustments, negative impacts can be mitigated with the assistance of a doctor and a registered dietician. If you or someone you know may be experiencing some of the symptoms mentioned in this article, see a doctor as soon as possible! The sooner symptoms are under control, the sooner you can start living a full life! Allison has been working for Oswald’s since 2007. A 6th generation member of the Wickel-Oswald-Kester-Anderson family, Allison focuses on natural & organic products, social media, and online promotions. Allison graduated with a BA in Telecommunications from Indiana University Bloomington in 2013, minoring in Marketing. After graduating from IU, Allison worked at SAP Fieldglass as a Business Analyst. 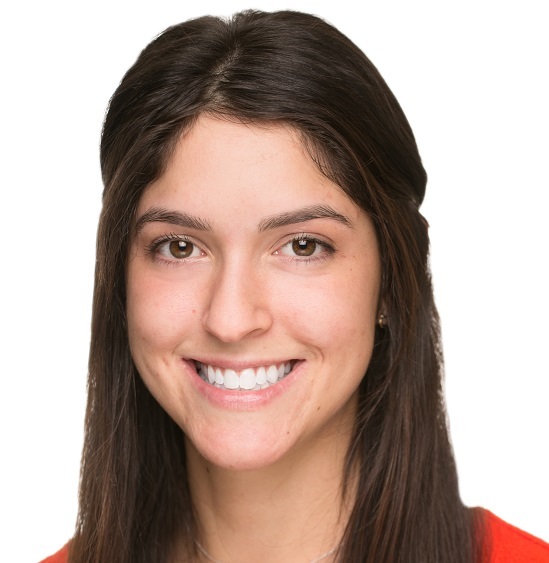 A graduate of Naperville North High School in 2009, Allison currently lives in Naperville and is attending classes at the University of Illinois at Chicago, studying Nutrition.